Fitness is such a passionate domain that a person who is actually conscious about his / her health would never miss on taking up all possible measures to keep it perfect. To meet your fitness goals, you need many tools like gadgets, diet plans, and above all fitness equipment. The prime two machines that you would surely see in each and every gym are elliptical and treadmill. The market offers you load of models like horizon elliptical and others, but even more than these machines what you really need to know is how to use them to get the best out of it. While buying these two machines, often people bank on what the store keeper is saying and promoting; that would not be a wise take for sure. You need to know extensively about these two before making the right choice while purchase. Treadmills are machines that offer you the opportunity to increase weight loss, cardiovascular functioning, and bone density, all good for your overall health. It burns more calories (approximately 50 to 250 more calories an hour) in comparison to bike or elliptical trainer and assures building the bone density of lower extremity at its best. You get the decline and incline feature to customize your running. Elliptical trainers offer you the benefits of all kinds of weight-bearing exercises without the impact. This is basically for low impact workout and does not strain your body and joints. The arm handles in this machine allows you a full body workout. 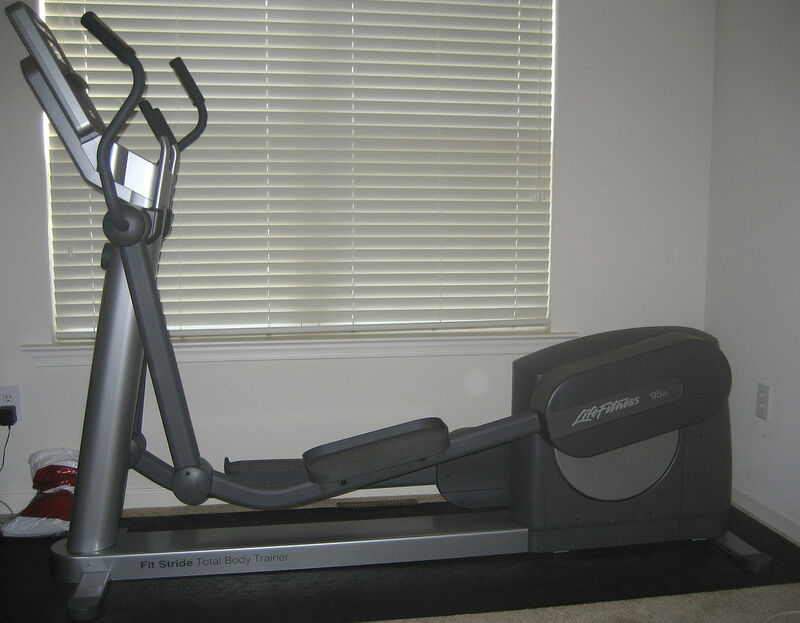 This machine is a combination of stairmaster, treadmill, pedal movement of an exercise bike. You can have a complete workout session without pressurising your back, knees, joints and hips. Budget – This is of course the first criteria when you buy anything; if the price is exceedingly high try to look for other models or similar machines that provide similar kind of effects. Quality and Durability – These are supposed to be one time investment items; you don’t buy treadmills or elliptical trainers every year thus make a wise choice by keeping quality parameter upmost. Check the products minutely before buying and take a test session of around 15 minutes before making the deal. Space needed – If you evaluate the folded up machine you will not be able to actually gauge the area it needs to be kept. Especially for treadmills, you need to leave space all around to minimize the chances of injury. Also for elliptical trainer, you need to check if the full body movement can be done freely considering the final space it takes. Stability– Check how stable the model is; just like individuals the machines also have different characteristics and traits. The stability is not the same for all. Test out few models and check the construction. 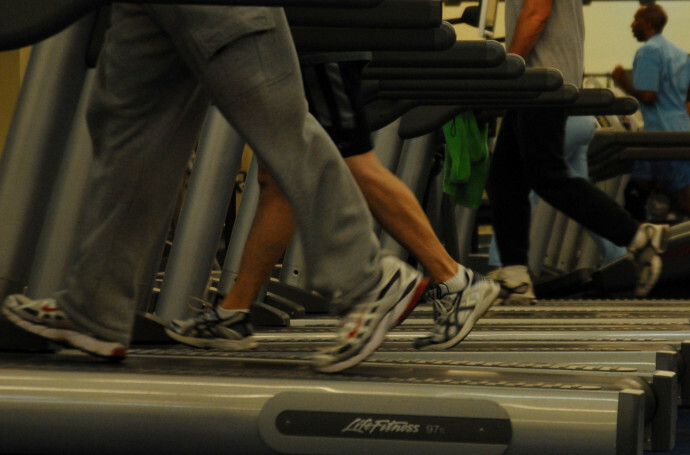 For treadmills, make sure you do the testing without shoes. Motor and Warranties – The motor capacity should be decided on the fact if the machine will be used once or twice in a day or rigorous by many users. A continuous duty rating of most of the home treadmills are around 1.5 to 2.5. Consumers should not compromise on warranties. Motor warranty for 1 year is compulsory and the warranty for other parts should be for around 3 years. These pointers if remembered while buying, you are sure to get the best elliptical or treadmill at home. Has depression been getting the better of you recently? For countless individuals, depression is their biggest opponent on a daily basis. While there are myriad of means to fight depression, not all those efforts prove successful. In order to make you one of those successful patients, have you tried various methods to combat that what is making you depressed? The first step to take in battling depression is realizing you have a battle on your hands. For some people, they choose to try and sweep depression under the rug, figuring it only happens to other individuals and families. If that’s you, then you need to alter that mindset. Wellness – Finally, do periodic wellness checks on both your mental and physical well-being. Just because you overcame depression this time around does not mean it won’t come back again down the road. If you see a sign or signs of your depression returning, don’t be afraid to reach out for help. You oftentimes know the warning signals, so get the jump on depression before it takes over your life. In the end, you and those in and around your life benefit from a happy and health you. If you or someone you love has been battling a drug or alcohol addiction, you know how challenging the fight can be. There are times when you think you are close to having it licked, only to see yourself fall right back into it. 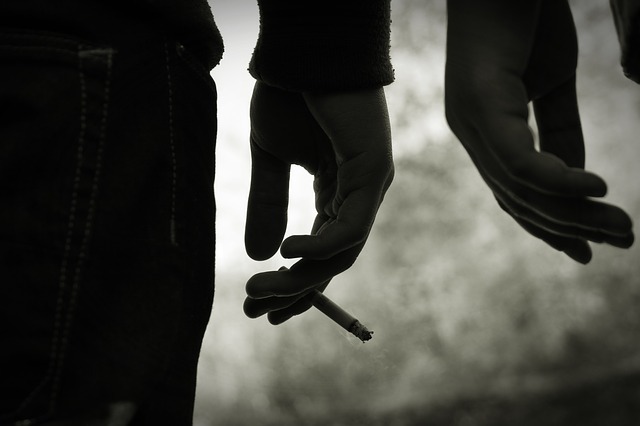 When that happens, climbing out of the hole of addiction can be 10 times more difficult. So, where are some of the best places to turn for help when addiction seems to be getting the better of you? 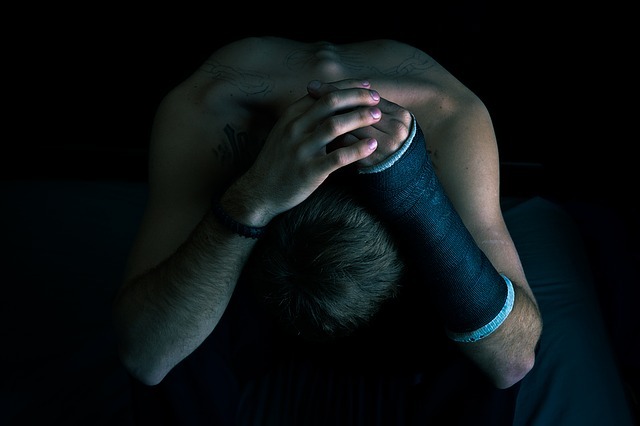 While addiction may seem like it is winning, it can and has been defeated countless times. Recovery groups – Even though some individuals battling addictions are oftentimes too shy to sit and talk in front of others, this can be one of the best venues to help one move towards kicking their demons. If you decide to go to a recovery group meeting or meetings, you don’t have to sit-up and talk the ears off of people. Take-in what is going on and realize that such meetings are not to single anyone out with an addiction, but to help them recover sooner rather than later. Feel free to ask questions of others, gathering all the information and using what can best assist you in getting your health back, including your mental health. If you have not delved into social media as you battle an addiction, give it a consideration. Social media is something that millions of people engage in on a daily basis, much of which can be used for good. As you find the best solution or solutions in fighting an addiction, social media may be the missing component that will ultimately give you a hands-up in your struggle. 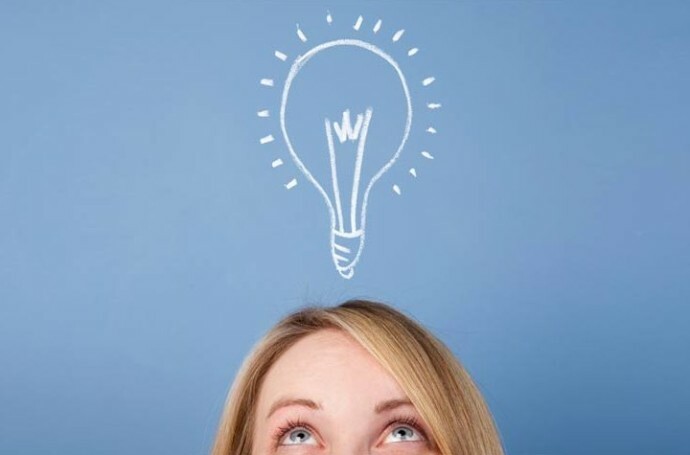 Whether you have difficulty concentrating, feel foggy, or lack energy, nootropic supplements may offer the solution you have been hoping to find. Optimind and other supplements contain ingredients that help to improve focus, concentration, and enhance cognitive function, memory, and mental energy. If you are searching for an energy supplement, it is important to find a source of information that is not linked to the company selling you their product. Making an informed decision is beneficial for your health, wellness, and getting the results you want when taking supplements for cognitive enhancement. Optimind review and information can be found at Brain Enhancement Advisor. If you are looking for independent and unbiased product reviews, you can find reviews and comparisons about the best supplements on this website. The desire for improvements in memory, cognition, energy, and mental performance is common among adults of all ages. The makers of this product claim that it offers improvements in memory, focus, eliminates the foggy feeling in your head, and helps to boost energy levels, so you can get everything done and enhance mental performance and cognitive function. Besides a healthy diet and plenty of Vitamin A, there are some other options like listed below. Are you struggling with low energy levels? Does lack of mental energy interfere with you overall performance at school or work? If this sounds familiar, you are not alone. Many adults in the United States seem to be overworked, overwhelmed, stressed, and exhausted. This energy supplement helps to increase your energy levels, enabling you to improve performance and feel better. The unique blend of nootropic and herbal ingredients offers improvements in memory and energy levels. The formula includes some known nootropics and substances that naturally boost focus and energy levels. The ingredients include phosphatidylserine, vinpocetine, choline, DMAE, tyrosine, alpha lipoic acid, and taurine. Other ingredients include Vitamins B3, B6, B12, D3, and green tea leaf extract. The formula is considered to be safe and effective. Some nootropic supplements don’t work immediately and you may have to take them for days, or weeks, to notice a significant improvement in focus and clarity. When you need faster results, you may want to try a supplement that delivers results from the first dose. The makers of this product promise fast results with the use of this product. They guarantee that you will see results within an hour of taking the product. Product reviews can be a valuable source of information, as long as they are independent and written by users and reviewers with no affiliation with the company selling this product. The average Optimind review is quite favourable and users report results when using this supplement and no serious side effects have been reported. The product is among the most popular on the market and has an impressive following. In addition, the company has a solid reputation, including an A+ rating with the Better Business Bureau. What the product lacks is clinical research to demonstrate the effectiveness of the product. Has having a baby been on your mind for some time now? Unfortunately, many women (and couples) wanting to bring a new life into the world have struggled with this challenge. One option on the table to conceive a child is in vitro fertilization (IVF), something that countless women and their mates have turned to over the years. Whether or not IVF is in your current or future plans revolves around your ability to become pregnant with such a procedure, not to mention the expenses involved with in vitro fertilization. Start with taking a look at your current life, what your medical history (now and in the past) is, and what your financial outlook is. In looking at how you are currently living, is now the right time to try to become pregnant? As millions of women can tell you, the timing has to be as right as possible in order to be able to successfully have a newborn. In the event you have had trouble conceiving a child in the past or even just recently, will a fertility center be your best option to make your dream happen? Depending on your location, you could go with a fertility specialist in Utah or another part of the country. Take a look at the center’s history and of course its success rate at conceiving children. 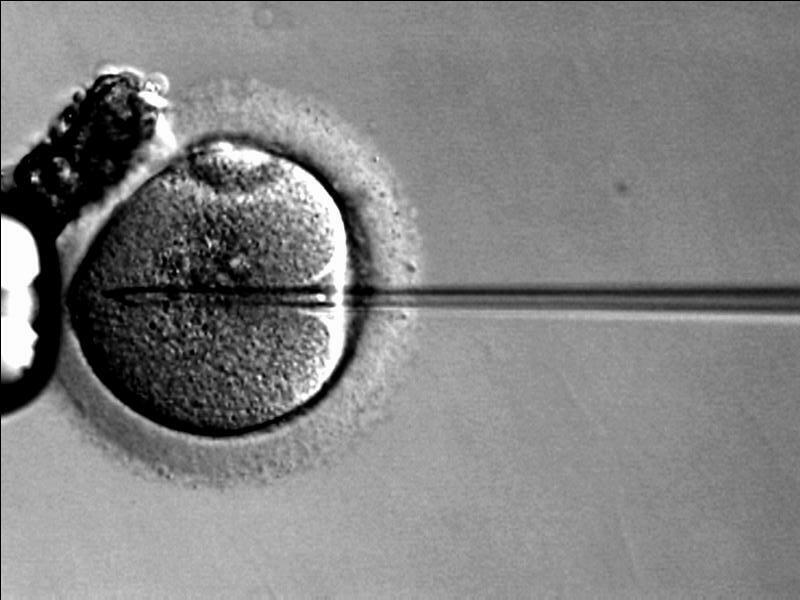 Does the center have a solid past and present or has it had some issues when it comes to in vitro fertilization? 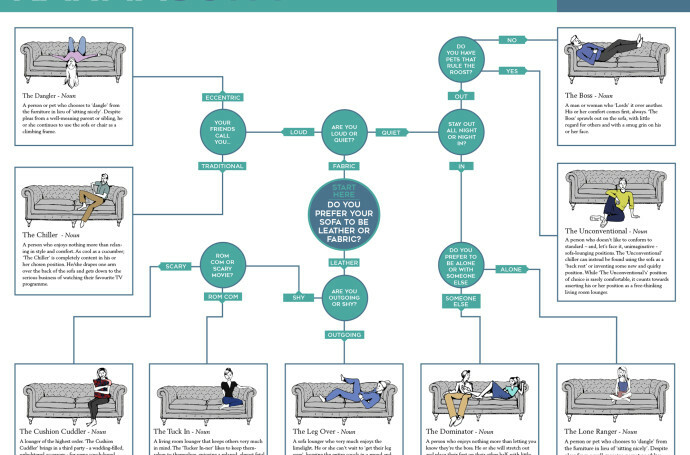 Do other women and couples recommend the specific center you are considering or do they have some not so kind opinions of it? Finally, is the center you are looking at nearby so that you will have ease of travel or are they located a long distance from where you reside? Another important component of IVF is what it will cost you (as an individual or as a couple) to follow through with the procedure. The cost of fertility treatments typically vary from person to person/couple to couple. On average, one can expect to pay somewhere in the area of between $12,000 and $14,000 for the entire procedure, though all cases are usually different depending on the individual’s needs. One option you should certainly investigate is will your insurance provider cover some or all of the costs associated with IVF? In many cases, the health insurer will not offer coverage for the entire process, but it may compensate for diagnostic testing needed to get the process rolling. Also take the time to look into a center’s success rate with in vitro fertilization. Do numbers back up its claims to be the best choice for you wanting to conceive a baby? Has the center not delivered on its promises at times and actually left women and couples disappointed in their ability to conceive a child? Patient testimonials (oftentimes found on a center’s website) are a great look into whether or not this might be the fertility center for you. While all patient comments should always be taken with a slight grain of salt, they can be very beneficial to you in making your mind up. Just as many consumers shop online these days for their lifestyle requirements, you can also use the Internet to learn a wealth of information about IVF. Doing a Google search of your center or centers of interest will help you in finding what facility best suits your needs. Another key component in the mix is will your center of choice offer any refunds if you ultimately are not able to become pregnant? Refund programs are available with a number of centers that is of course assuming you meet the necessary criteria to obtain one. One last item to keep in mind is the support you want and quite frankly need from friends and family during the IVF process. Turn to those you might know who have opted for in vitro fertilization, getting their viewpoints on the success or lack thereof from it. While patient testimonials might leave you a little skeptical at times, hearing from those you know and trust should give you more piece of mind, helping you in your ultimate goal of becoming a mother.